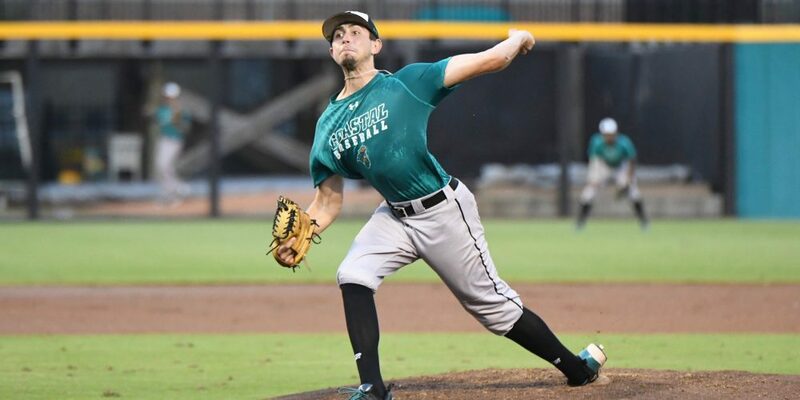 CONWAY, S.C. — A changing of the guard was inevitable this fall at Coastal Carolina, which lost 2016 College World Series heroes Andrew Beckwith and Andrew Cunningham plus its top three hitters (Billy Cooke, Wood Myers and Jordan Gore) from a year ago. But there are still plenty of familiar names gracing the CCU roster, and the remaining veterans should blend with an exciting collection of underclassmen to make the Chanticleers a force in their second year in the Sun Belt Conference. Coastal’s veterans and its freshmen alike flexed their muscles in Thursday’s 16-5 win against the Czech National Team. It took until the fifth inning for the Chants to get their offense going, but then the floodgates opened. But most encouragingly, their young arms looked quite impressive. For starters, this team has a nice senior core with invaluable postseason experience, and the seniors look poised to do big things. Catcher Matt Beaird has always been a defensive stalwart, but his bat really came on this summer in the Coastal Plain League, where he even showed some power that he had previously lacked. Gilmore said Beaird is “ready to come out of his shell” offensively and suggested he’s a big breakout candidate.